Center for Congregations, 2016. Accessed November 21, 2018. Every congregation should periodically engage in strategic planning, according to experts and seasoned congregational leaders. 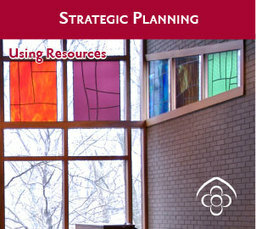 This two-page guide highlights a number of things to think about as the congregation considers entering into a strategic planning process. While explaining that there are a variety of useful resources available to congregations wishing to self-facilitate, the article goes into greater detail on working with an outside consultant. Consultants can bring experience, an objective view and important teaching skills to the table. Readers will find the basics on finding and engaging a consultant who is the right fit. A lengthier section on what the congregation can do to be successful applies equally to consultant-led and self-led processes, from forming a leadership team to self-assessment to planning for implementation. An inset offers a list of potential consultant-interview questions.